Thread: Turning Twenty or not? I am ready to make my granddaughter a quilt for her 7th birthday. I have picked out 6 different fabrics in yellows and purples (her faves) and now I need to decide on which pattern to use. Has anyone done a turning twenty using just 6 fabrics? My friend has a pattern called Block Party that is like TT but uses 6 or maybe 7 fabrics. Any suggestions? I tried looking for pictures here of TT but seem to have got lost into cyberland and side tracked, Help! I don't know how much you have of each but there is a pattern called 6 Halves make a Whole" which uses 6 half yard cuts..
Just my opinion, but I looked at Turning Twenty, and I think those big blocks need some fancy FMQ, which I cannot do. With 6 fabrics, you can do a Yellow Brick Road. 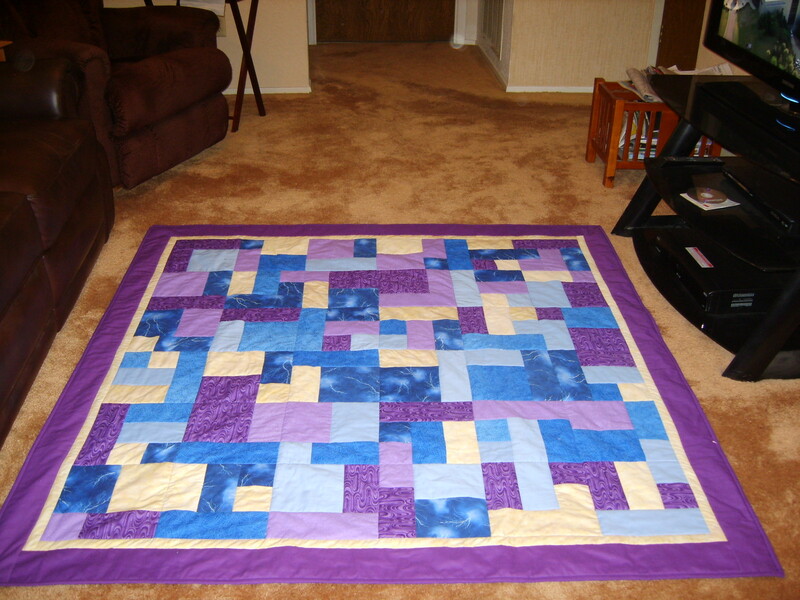 Again, it's my opinion, but I think the quilting can be simpler with a YBR, since the blocks are smaller, and there is more going on with the pieced top. I did a turning twenty with fat quarters and didn't really like it. The finished blocks were quite large. Since I don't FMQ very well, I just stitched straight lines diagonally across the quilt. Would have looked much better with fancier quilting. I tried to find the picture of it but not having any luck. 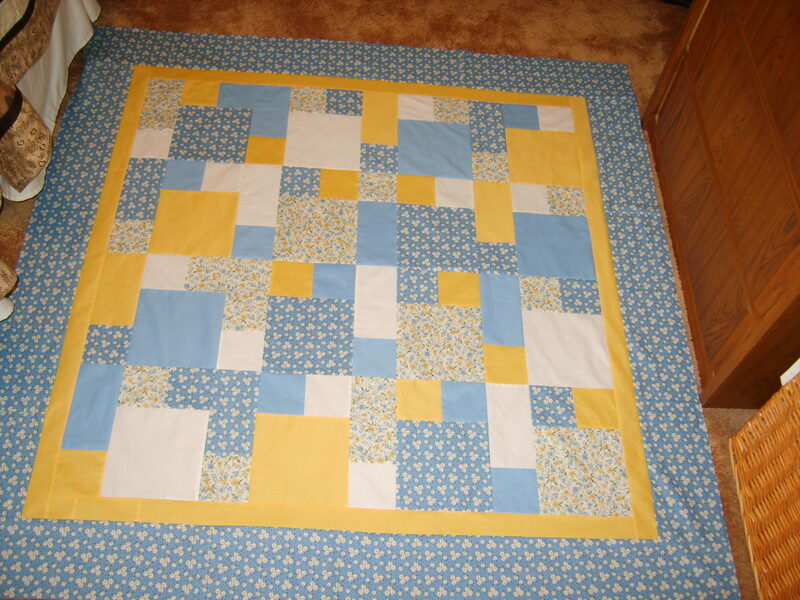 I did a Yellow Brick Road with 6 fabrics that turned out nice, I think. Let me see if I can find a picture. Okay, found it. I stitched in the ditch and was very happy with it. You might also like the Just Take Five pattern. I thought it was a bit easier to put together, and I used SID with it also. Maybe one of these will give you an idea you like? I was going to suggest the Take Five too. I have made two Turning Twenty quilts. Although I like scrappy quilts, I don't like the look of using 20 different fat quarters for the Turning Twenty so I use seven or eight fabrics to give more continuity to the quilt. thank you! those are beautiful quilts, I should have mentioned that I will be hand quilting it. I've done a few turning twenty quilts and that should b e good.